Image: White Packert/Getty Images. Design: Ashley Britton/SheKnows. You go to rouse your child for another school day, but they say they’re sick. If they don’t have obvious signs of an illness (such as a fever or vomiting), how do you know if they’re really sick or they’re just faking it? Let’s take a look at some clever ways to tell if your child is faking an illness and when you should be more concerned. Oscar nominee or really sick? Of course, that’s not to say that your kid isn’t actually ill. 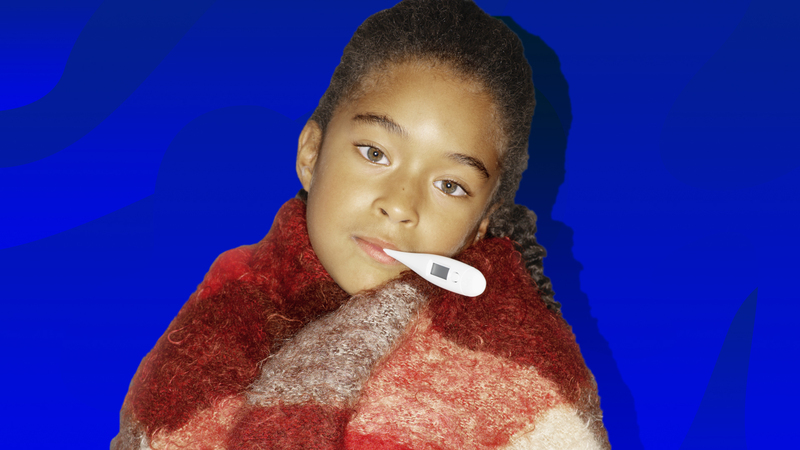 Here are some clues that may help you discover if your child is really sick or just faking it. Hes notes that both of these are an excellent indicator of a child’s health, and if they’re not on par with their usual levels, especially once you’ve allowed them to stay at home, then they probably really aren’t feeling well. Tummy pain is a common complaint for the school-age crowd. However, there’s a way you can tell it may not be a sign of illness. “If your child is complaining of abdominal pain, but if they are able to eat and drink without problems, can jump up and down without pain and you can press on their abdomen without any pain, then these are all reassuring signs that there is not something seriously wrong,” Dr. Devon Carr, pediatrician at Reddy Medical Group, tells SheKnows. Additionally, headaches are also common complaints parents hear and then must decide if their child is too sick to go to school. “If your child has a headache but does not have a fever, stiff neck or any pain with bright lights or loud noises, then these are all reassuring signs that there is not something seriously wrong,” says Carr. While it can be hard to sneak up on your kid, Carr says that checking out how they act when you’re not directly staring at them may be the only clue you need. “Try to observe your child when they don’t know you’re looking. Their symptoms are less likely to be real if they only act like they are sick when you are watching,” he explains. Dr. Kimberly Williams, a pediatric neuropsychologist and clinical psychologist, says that if your child is faking an illness repeatedly, don’t ignore it and pack them off to school without further investigation. “Children who do not want to go to school may really have some kind of learning issue and feel anxious, may be trying to avoid bullying or may have some other significant social issue, like complicated interactions with a crush or peer pressure,” she tells SheKnows. She suggests that if these red flags are present, it’s important not to react negatively, but instead, take some time to delve into the situation with your child (and/or the school) to see if there is an academic or social reason for faking an illness. Also, she notes that you can also seek an evaluation with your child’s doctor or a child psychologist to see if there is a medical or emotional reason for the situation. Some kids are excellent actors, but there are a few clues that will help you determine whether they’re really sick or not (and that parental gut can also help you in this matter). Don’t hesitate, though, to further investigate if your child repeatedly seems to be faking an illness. For one thing, they may actually have something going on that doesn’t show up on a thermometer, and for another, it can indicate stress or even bullying. Either way, once you investigate, you and your care provider can develop a plan to get your child on the road to good health (and proper school attendance).